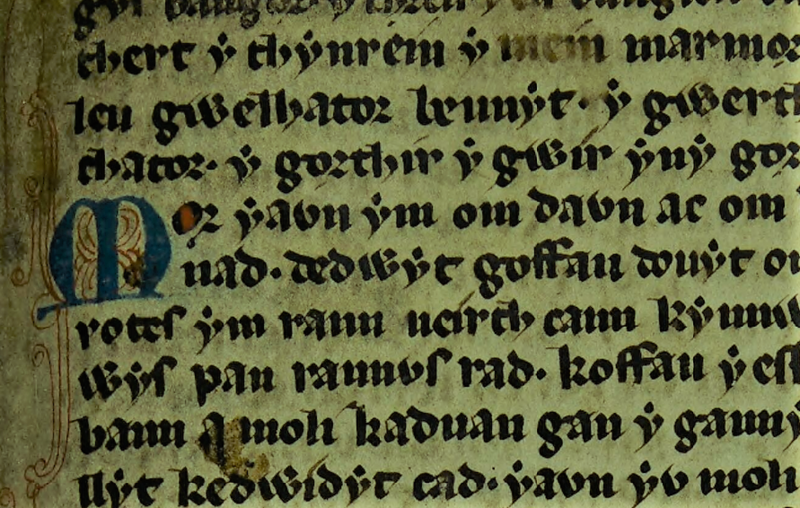 The first stage of our project, The Cult of Saints in Wales, has produced new bilingual editions of medieval Welsh-language poems, prose Lives and genealogies. The second, Vitae Sanctorum Cambriae, is focused on the Latin Lives of Welsh saints. All the texts will be presented with full introductions, notes and English translations: transcriptions of variant versions will be published in full, and there will be high quality digital images of many of the manuscripts . The first of our texts, a new edition of Llywelyn Fardd’s twelfth-century Canu i Gadfan, is now published (20 October 2018). 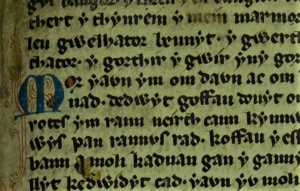 Iolo Goch’s cywydd to St David and Lewys Glyn Cothi’s Awdl-gywydd to the same saint are also now published (12 November 2018). Jane Cartwright, Mary Magdalene & Her Sister Martha: an edition and translation of the medieval Welsh lives (Washington D.C.: Catholic University of America, 2013). Barry J. Lewis, Medieval Welsh Poems to Saints and Shrines (Dublin: Dublin Institute for Advanced Studies, 2015). Patrick Sims-Williams, Buchedd Beuno: The Middle Welsh Life of St Beuno (Dublin: Dublin Institute for Advanced Studies, 2018).